College students, garden clubs, civic organizations, sportsmen clubs, and bird study groups helped to officially name the sugar maple as the state tree and the cardinal as the state bird. 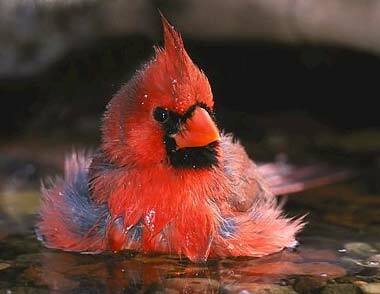 The northern cardinal was in competition with ten other birds including the American robin, the tufted titmouse, and the bluebird, but won by more than 11,000 votes. 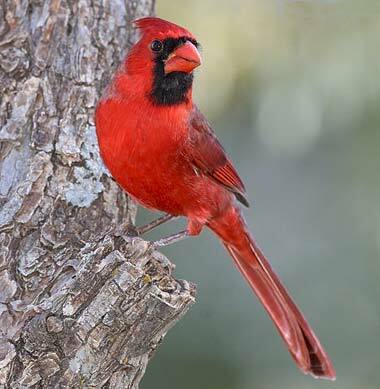 One of America's favorite backyard birds, cardinals are distinctive in appearance and song (known for their "cheer cheer cheer," "whit-chew whit-chew" and "purty purty purty" whistles). 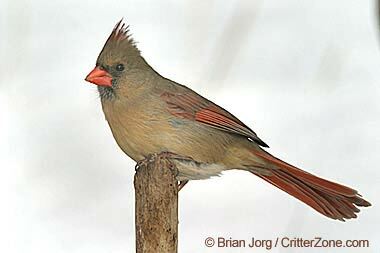 Northern cardinals breed 2-3 times each season. The female builds the nest and tends the hatchlings for about 10 days while the male brings food. The male then takes over the care of this first brood while the female moves on to a new nest and lays a second clutch of eggs. Northern cardinal photo © James Ownby: My View of Nature.